I ended up playing Day of Defeat Source to get the Steam cards. 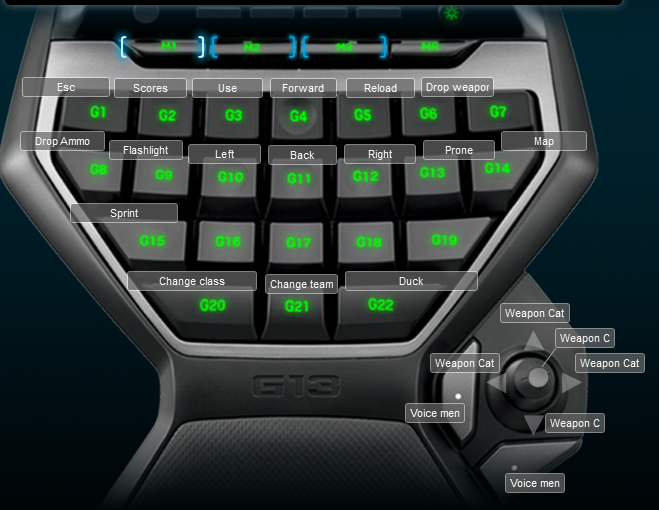 I made a Logitech G13 profile for the game. It is a little different from most of the profiles I make because prone is on the G13 key, and usually that is the grenade key. Below is a screen shot of the keyboard layout.